[Review] Primal Carnage has Dinosaurs! Lots of Them! Where are all the dinosaurs? What’s been lacking in the world of entertainment are dinosaurs! We recently got Pacific Rim, which was an awesome gift sent from the heavens. We desperately need more T-rexes and Velociraptors tearing at each other. 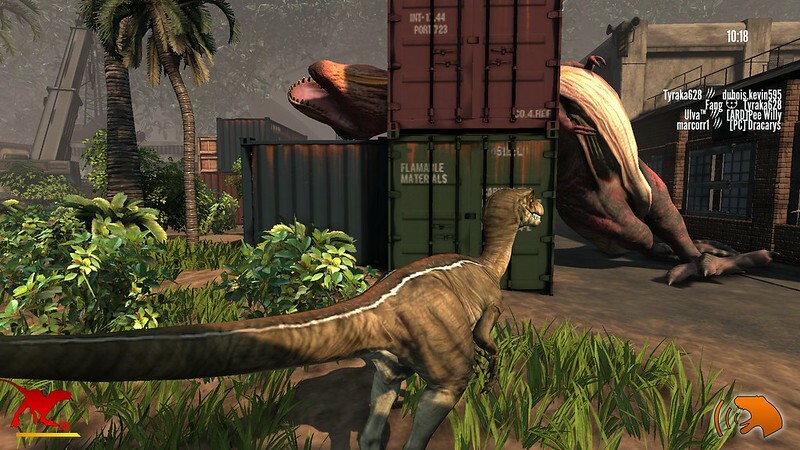 Thankfully, indie developer Lukewarm Media has graced us with Primal Carnage. While zombies and vampires are all the rage right now, I will always prefer dinosaurs any day. 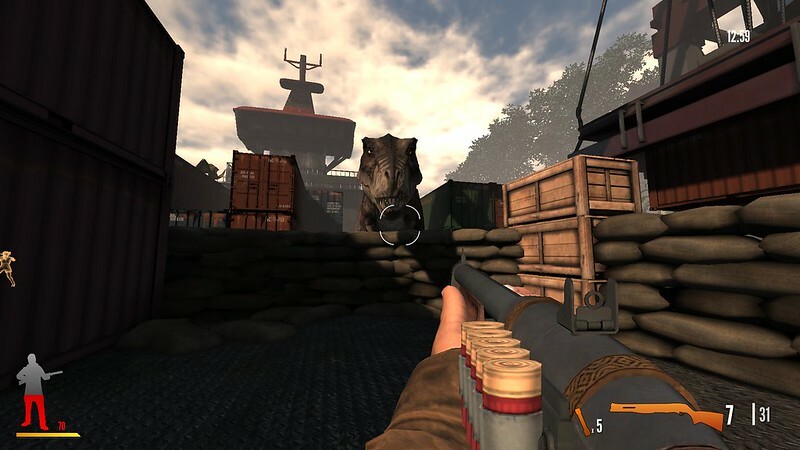 Primal carnage is a PC game and it’s an FPS of man versus wild. 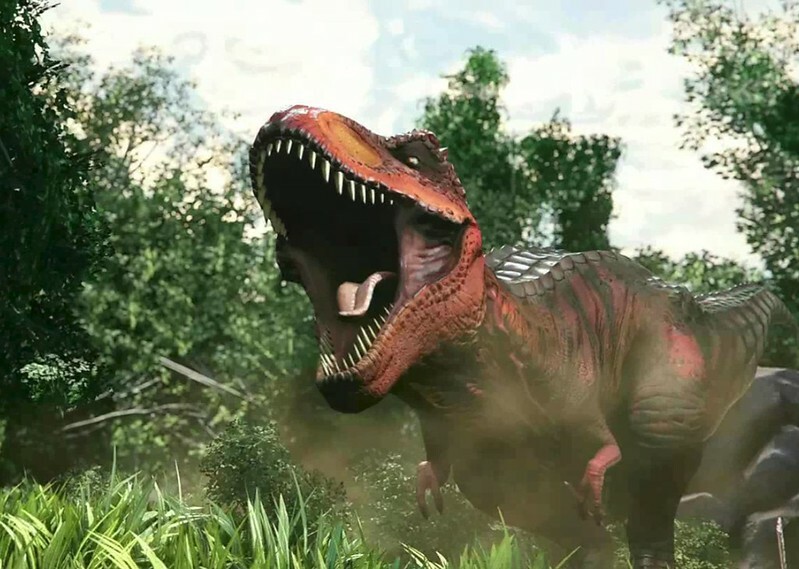 Think counterstrike but instead of cops going against terrorists, it’s humans versus dinosaurs. The game is very straightforward, after you boot up, you look for a server and it immediately drops you into a world and you get randomly placed in either the human faction or the primal faction. Then all hell breaks loose. There is no story in this game. No single player campaign. No saving the damsel in distress. Just full on, online multiplayer, man on dino action. When playing as humans, you have more agility and maneuverability. You obviously have longer range since you use guns. It is terrifying though especially if you are on your own walking since a dinosaur might be anywhere. There are 5 classes, the first is the commando who has a full on machine gun that has a grenade as secondary fire. The next is the native indian guy who has a shotgun, his secondary fire is a flare that is very effective since it messes up pretty much the entire view screen if you’re a dinosaur. Following this is the flame guy who has a flamethrower to burn stuff up. His secondary fire is where his flamethrower turns into a chainsaw. Next is the lady wildlife park girl, who has the sniper rifle that is pretty effective. Her secondary fire is a poison gun that disorients the dinosaur when hit. The last class is the hunter who has a dual pistol and his secondary fire is a net gun. 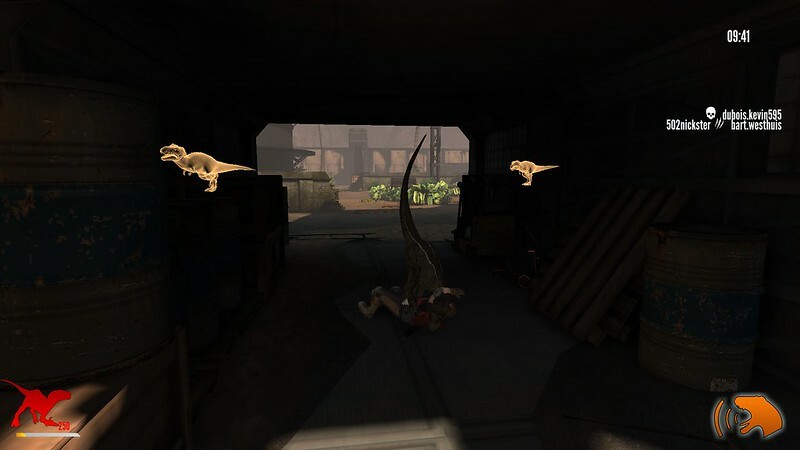 When you hit a raptor or smaller dinosaur, you can one shot them by going next to them and knifing them. Then onto the dinosaurs. As dinosaurs you are more mobile. Run faster and jump higher. You’re also bigger obviously and stronger. The first class is the pteranodon, which is like a pterodactyl bird. Your primary skill is that you’re able to fly and swoop down to grab enemies. You then drop them in holes or pits. You need to be accurate as heck since you’re pretty squishy. 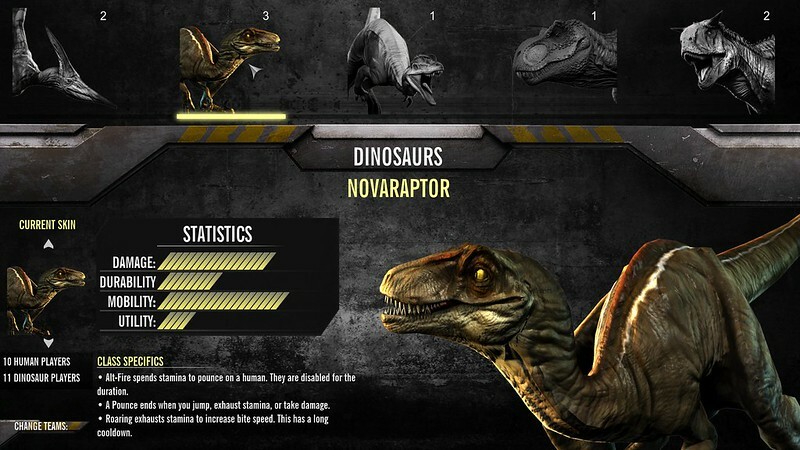 The next class is the famous velociraptor but in the game they’re called novaraptor. These guys run really fast and their main attack is to claw dudes. The secondary attack is a lunge forward using their claws which takes quite a bit of stamina and forward planning. If you catch any human on the way, you pounce on them and chew them up until they die which is around 2-3 seconds or if their teammate hits you and you let go. This attack is super satisfying especially when it hits. The next class is the dilophosaurus. This is about the same size as a raptor but you spit out poison. When hit, the enemy loses all sight for about 2 seconds, to which is your cue to kill them. The primary attack is also to claw dudes. The next class is the carnotaurus. This dinosaur is about the size of a truck. Their skill is to charge run really fast and bulldoze you. The last class is the… Tyrannosaurus rex obviously. This guy is HUGE. The main attack is freaking eating dudes. The alternate attack is just to walk around and stomp on people. Now, odd as it may seem, Primal Carnage is quite balanced. Whether playing as humans or as dinosaurs, I felt that it was fair. What’s different in this game from other fps is that you can see your allies even through walls. Which makes sticking together a bit easier. And sticking together is really needed in this game to succeed. There are several game modes like capture the flag, defend an area or take over an area (e.g. humans going to a chopper), and of course the normal deathmatch that everyone loves. So what keeps everyone from just picking the T-rex all the time and winning? Well, depending on the number of people playing, the game balances the number of each class you can only pick. So in a game of 10v10, there might only be 1 T-rex. Something like that. Now stacking this to other games of the same genre, this does not hold up well in terms of performance since I always had a high ping which resulted in huge lag. Not sure if it was just me but everyone else in the game had at least 200 ping which is not good for an fps. The shooting and aiming isn’t that good also. So to sum it up, as a game mechanically, this isn’t a very good game. But I didn’t come to see a good game. I came to play with some freaking dinosaurs! So it’s all up to you. Make sure you know what you’re getting into before getting this. Primal Carnage is on Steam for $15 and is only for PC. Now for some glitch screenshot.